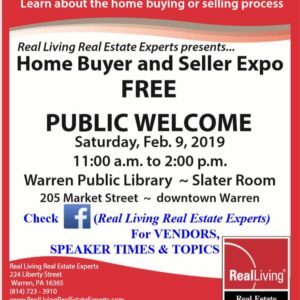 Real Living Real Estate Experts presents………….Home Buyer & Seller Expo!! 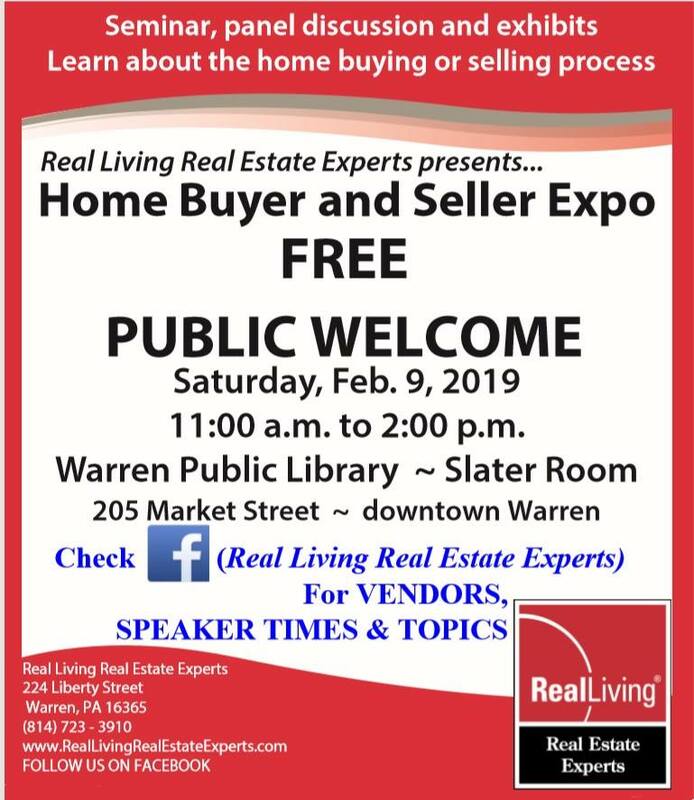 A FREE seminar, panel discussion and exhibits to learn about the home-buying and selling process. 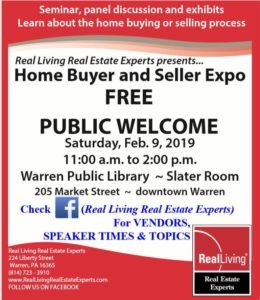 Real Living Real Estate Experts is hosting their 3rd annual Home Buyer and Seller Expo. This FREE event, growing larger each year, is open to the public, and will focus at whichever stage of home ownership you are in. When buying or selling a home, you will work with several business professionals. At the Expo, you will be able to meet them, ask questions and get helpful information. We have gathered together an even wider variety of professionals for the public to meet and question this year. This year’s expo will provide speakers in smaller, more personal groups for question and answer sessions. Buyers and sellers will be able to talk with the vendors individually about their unique buying or selling situations. Stay tuned for speakers, topics and schedules. We hope to see you there!